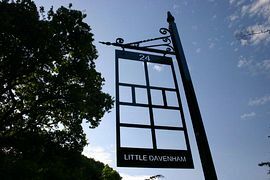 Little Davenham is a luxurious holiday home located within walking distance of Great Malvern, but in a very tranquil situation. It was built in 1958 for Frieda, following the death of her husband Charles William Dyson Perrins, whose father owned the Worcestershire Sauce factory. The holiday home is a self contained annexe, which adjoins the main property and was originally used by the staff of Mrs Perrins. The holiday home offers non-smoking luxury self catering accommodation for up to 4 people. 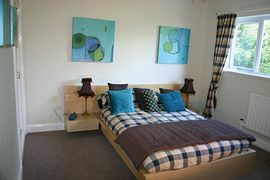 The cottage has full central heating, double glazing and has recently been refurbished to a very high standard. There are breathtaking views of the Worcestershire Beacon from the dining terrace. 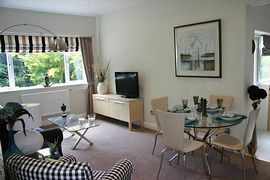 Entrance porch, living/dining-room and fully equipped kitchen. Cloakroom with WC and wash basin. 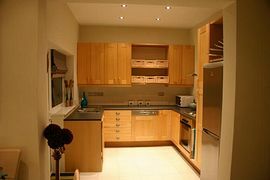 Two double bedrooms and a room which can be used as a dressing room or for storage of cases etc. Bathroom/W.C. with separate shower. Garden. 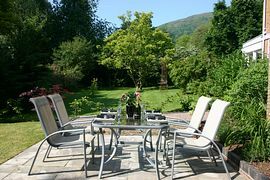 Dining terrace with views of the Worcestershire Beacon.